In November 2018, Bowel Cancer UK provided evidence to the Welsh Assembly as part of their Health and Social Care Committee’s inquiry into endoscopy services, examining how prepared health boards are to meet the growing demand on services. Currently, endoscopy services in Wales don’t have the capacity and resources they need to support a fully optimised bowel cancer screening programme, which will see screening from 50 – 74 using the faecal immunochemical test (FIT). 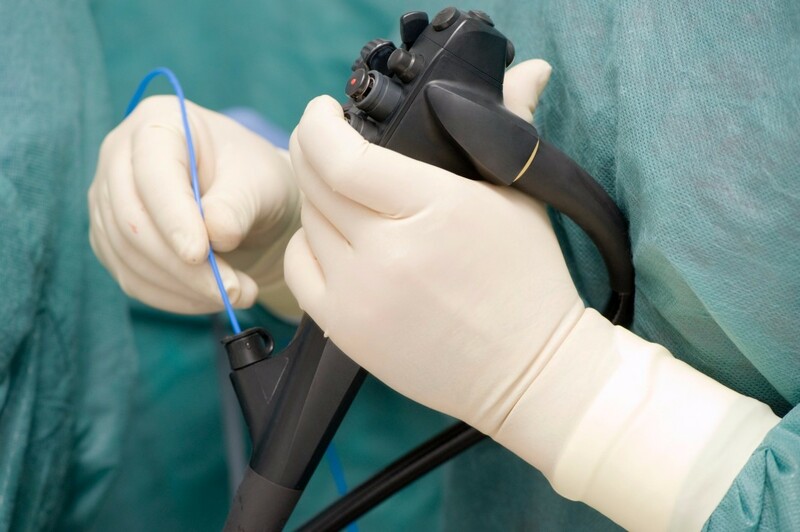 In this blog we explain the challenges facing endoscopy services in Wales and what is needed to tackle the growing endoscopy crisis. Every year in Wales more than 2,200 people are diagnosed with bowel cancer and over 900 people die from it, making the disease the second biggest cancer killer. Currently around half of patients who are diagnosed with bowel cancer in Wales will survive for five years or more. This is worrying, because the disease is treatable and curable if diagnosed in the early stages. In fact, 9 in 10 people survive if diagnosed at the earliest stage. At Bowel Cancer UK, we hear directly from patients who have experienced symptoms but struggle to be referred for a diagnostic test that can detect bowel cancer or get access as quickly as possible. As such, patients are missing out on the opportunity to be diagnosed early. We urgently need to work together in Wales to address this poor performance. The International Cancer Benchmarking Programme recently published their much anticipated report, which outlines that bowel cancer patients in Wales take longer to be diagnosed and treated than people with the same disease in countries with similar healthcare systems. This is because many diagnostic units in hospitals are under severe pressure because they simply do not have the workforce to meet the growing demand on endoscopy services. Wales have committed to introducing a new, more accurate and easier to use screening test, the faecal immunochemical test (FIT), to those aged 60 – 74 from January 2019. A key feature of FIT is that the sensitivity of the test to detect blood in poo can be adjusted to be more or less accurate. The lower the threshold, the more sensitive the test is to blood and the more cancers and precancerous polyps are detected. The proposed sensitivity threshold is 150ug/g. You can find out more about FIT here. The Welsh Government recently announced plans to lower the bowel cancer screening age from 60 to 50 years old, in line with Scotland and international best practice. Introducing the new FIT test is expected to see an increase in screening uptake of up to 10%, simply because the test is easier to carry out. This means more people will immediately be referred for a colonoscopy. It is understood that the Welsh Government expects Bowel Screening Wales to have reduced the screening age to 50 and also increase the sensitivity of FIT to 80ug/g by 2023. With the NHS in Wales already struggling to meet current demand, these latest announcements will add further pressure to an already overstretched system if investment into endoscopy services is not prioritised. We are often asked, what is the one thing we could do to transform bowel cancer survival? The answer to this is relatively straight forward: we want to see an investment in NHS staff trained to carry out more colonoscopies - the gold standard diagnostic tool for identifying bowel cancer. We simply aren’t doing enough for them and there are thousands of patients waiting too long for life-saving diagnostic tests for bowel cancer. That’s why, in November 2018, Bowel Cancer UK provided evidence to the Welsh Assembly as part of their Health and Social Care Committee’s inquiry into endoscopy services, outlining the deep concerns that the current workforce in Wales is not ready to cope with the demand that a fully optimised bowel screening programme will bring. We’re hoping the Committee will use the evidence provided to make recommendations to address the growing crisis in endoscopy services, find long term sustainable solutions, and for the Government to ensure funding is ring-fenced to tackle this. We expect to report back in January when the recommendations will debated in the Senedd. In the meantime, you can read our full consultation response and recommendations to the inquiry. To watch the inquiry evidence session please visit Senedd TV. Read our report, Spotlight on Bowel Cancer in Wales, to find out more about challenges facing bowel cancer in Wales. Find out more about an optimal bowel cancer screening programme in a previous blog. Help us save lives and improve the quality of life of everyone affected by bowel cancer by joining us as a campaigner today.